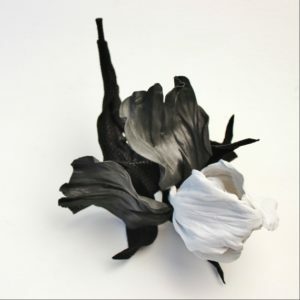 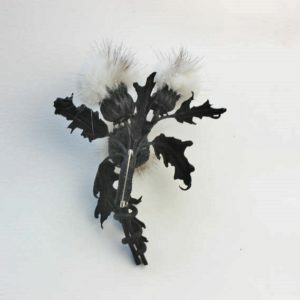 Unusual leather thistle brooch has been inspired by Scotland’s dramatic landscapes. 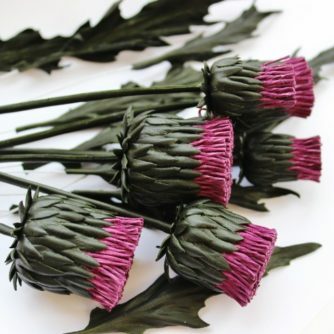 The thistle may only be a humble weed but it is the emblem of the Scottish nation. 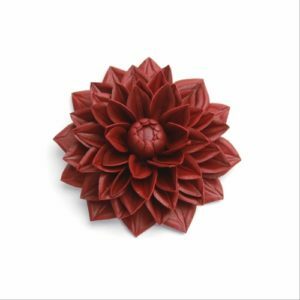 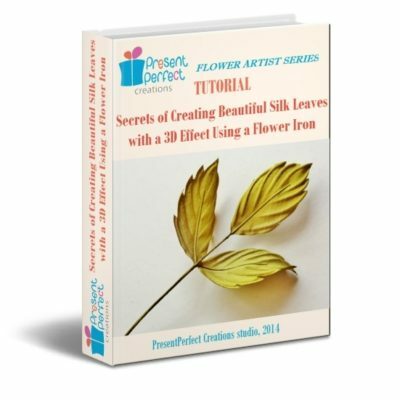 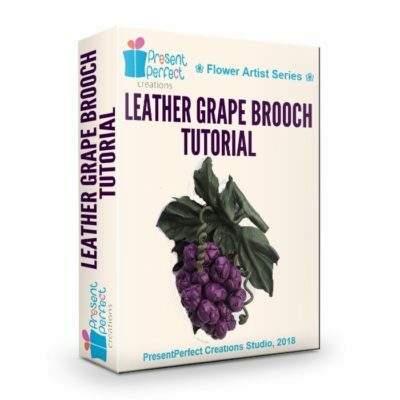 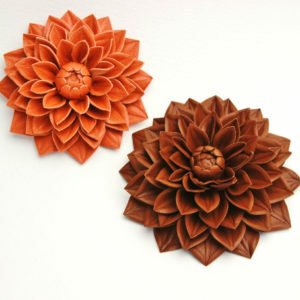 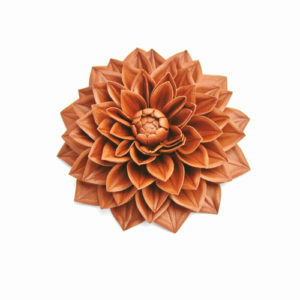 This prickly flower made of fine leather makes a great Scottish themed gift. 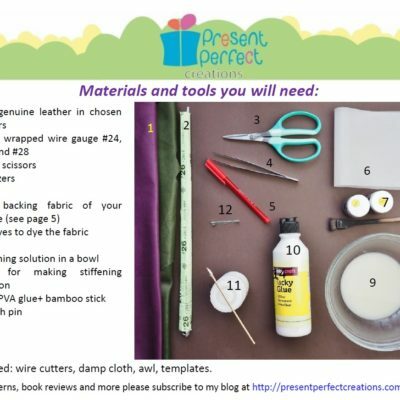 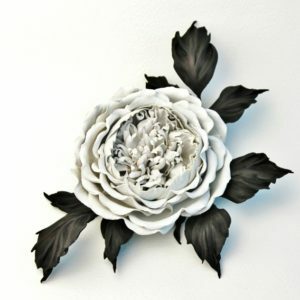 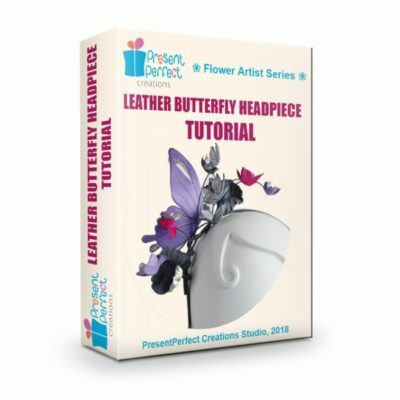 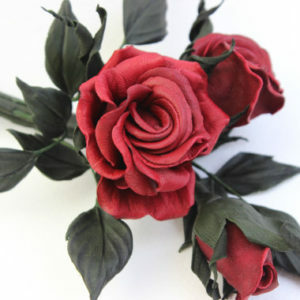 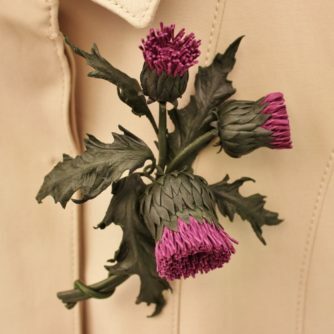 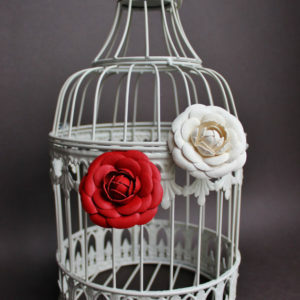 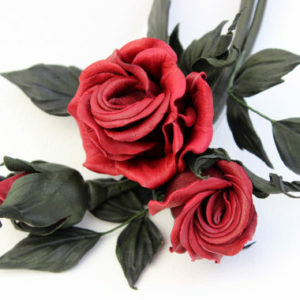 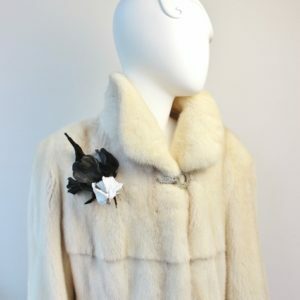 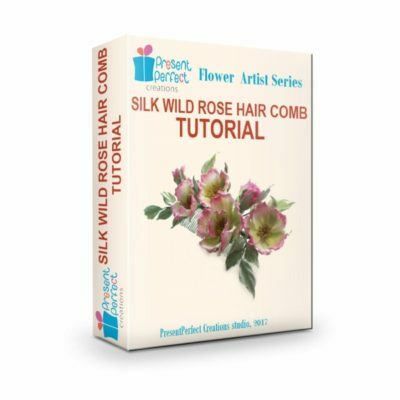 The leather thistle corsage is the right choice for the third leather anniversary too. 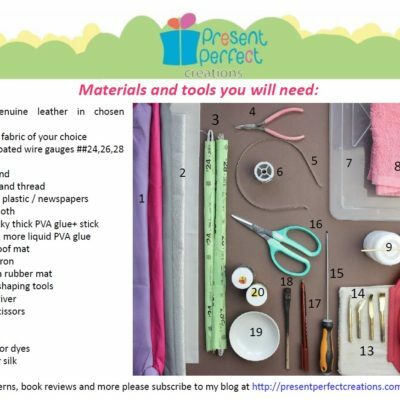 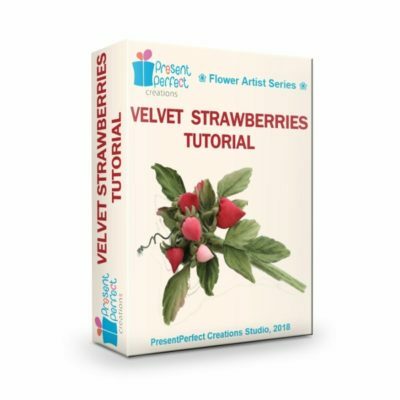 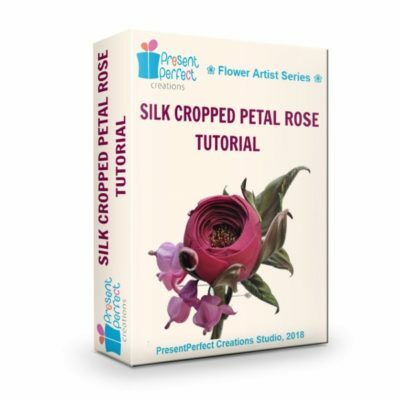 Made of the fine genuine leather the corsage is dainty and robust at the same time. 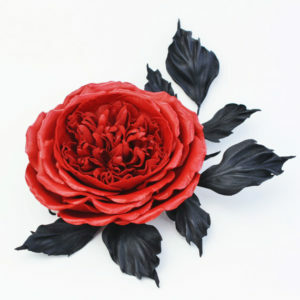 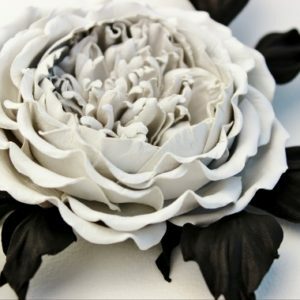 Not only it is great for a jacket or trench lapel this hand crafted leather rose is perfect to decorate your handbag or hat. 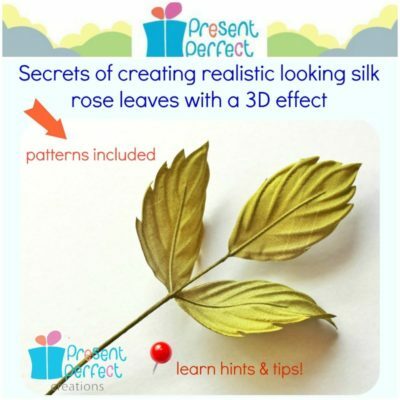 However, the leather thistle brooch is unsuitable for garments made of thin delicate fabrics.